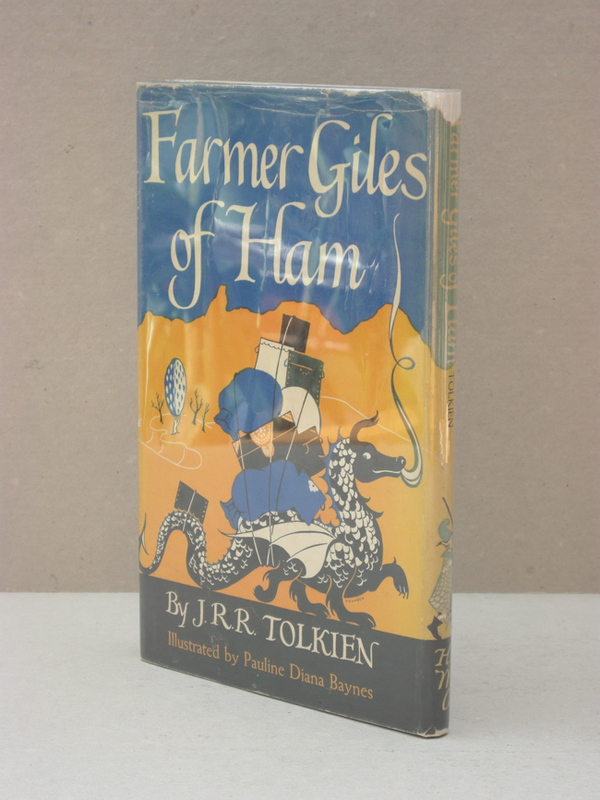 #CLP0035 - Farmer Giles of Ham - 1950 Houghton Mifflin 1st US Edition, 1st impression, with dustjacket - € 100,- Highly collectable, this is a very nice copy for any Tolkien fans collection. Nice Pauline Baynes cover and illustrations. 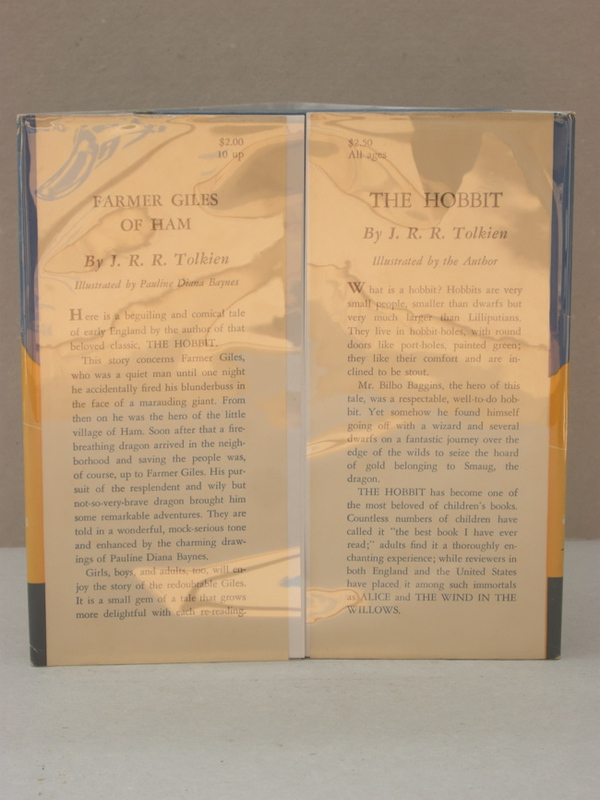 Highly collectable, this is a very nice copy for any Tolkien fans collection. Nice Pauline Baynes cover and illustrations. 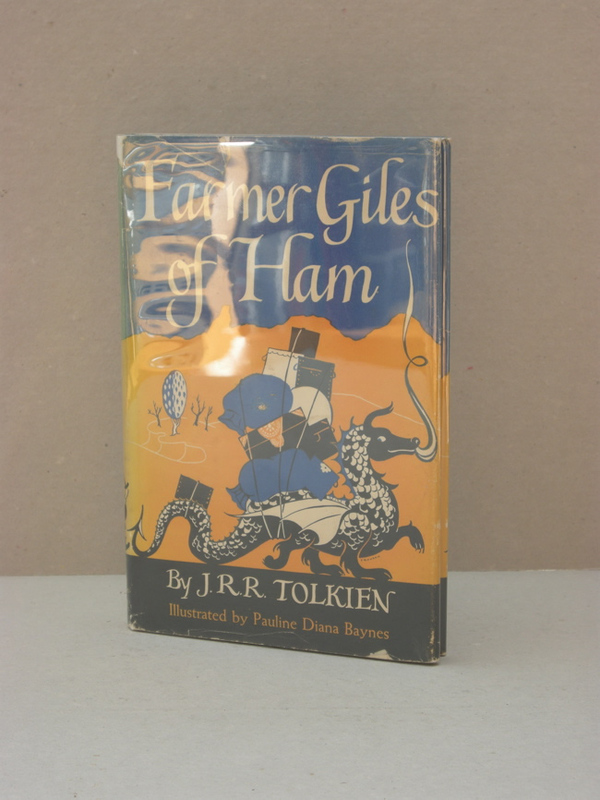 This is his second major published work, preceded only by the Hobbit. 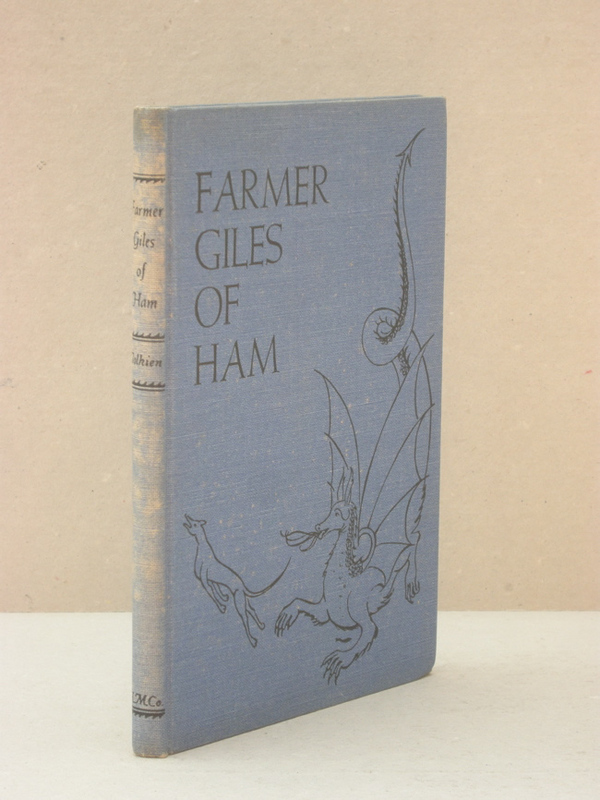 Published in 1950, printed in Great Britain, this is the 1st impression of the 1st Edition, published by Houghton Mifflin. A Very Good Plus book, some fading to the spine of the book, top edge slightly dusty, with original dustjacket (unclipped showing $2.00) in Very Good condition. Showing some edgewear, chips and minor loss to the top edge of the back panel, a couple of short closed tears as well. Spine of dust jacket has faded. Textblock is clean and tight, without any foxing, no names or writing. Small bookseller sticker (Books Lauriat’s Boston & Chestnut hill) on first free leaf.